This 1450-BLB automatic model has a tanto blade with a plain cutting edge. 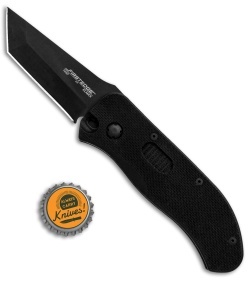 The powerful FirstEdge 1450-BLB automatic knife was designed in collaboration with U.S. Special Forces. 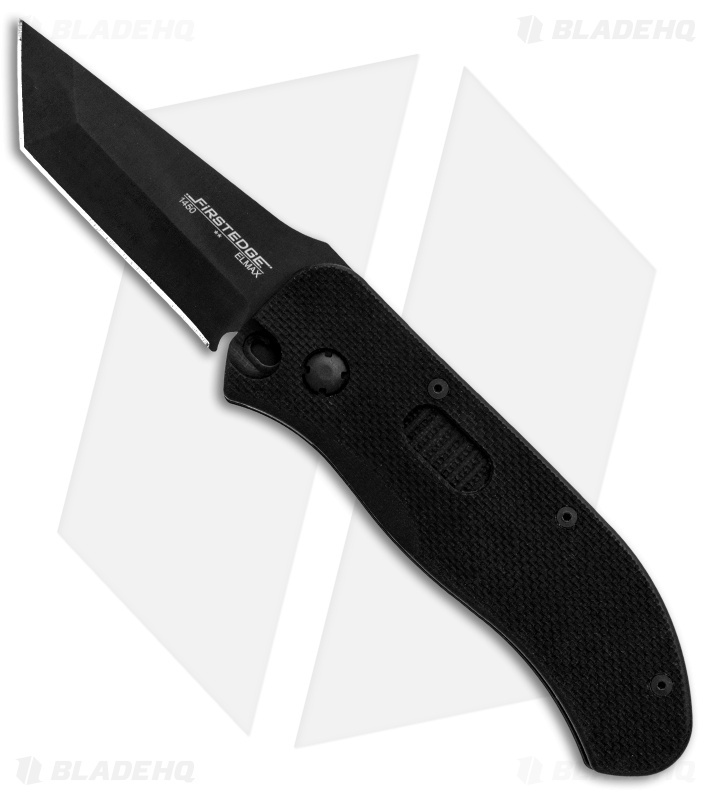 It offers rapid automatic deployment and rock solid blade lockup with an innovative tracklock system. The tracklock features a large steel locking pin that passes through the blade and liner providing a safe and secure lockup that well exceeds the industrial standard. It is equipped with an elmax steel blade in a black oxide coating and a rugged G-10 handle. A deep carry pocket clip finishes off the durable EDC design. Tracklock system provides rock solid lockup and automatic one hand deployment. 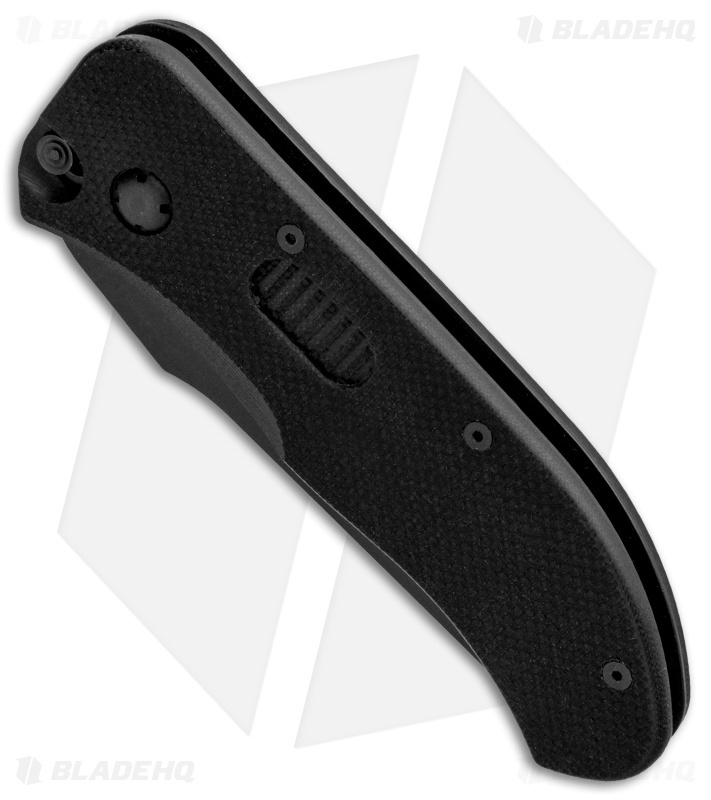 Elmax steel blade with a black oxide coating for a tough and durable blade edge. 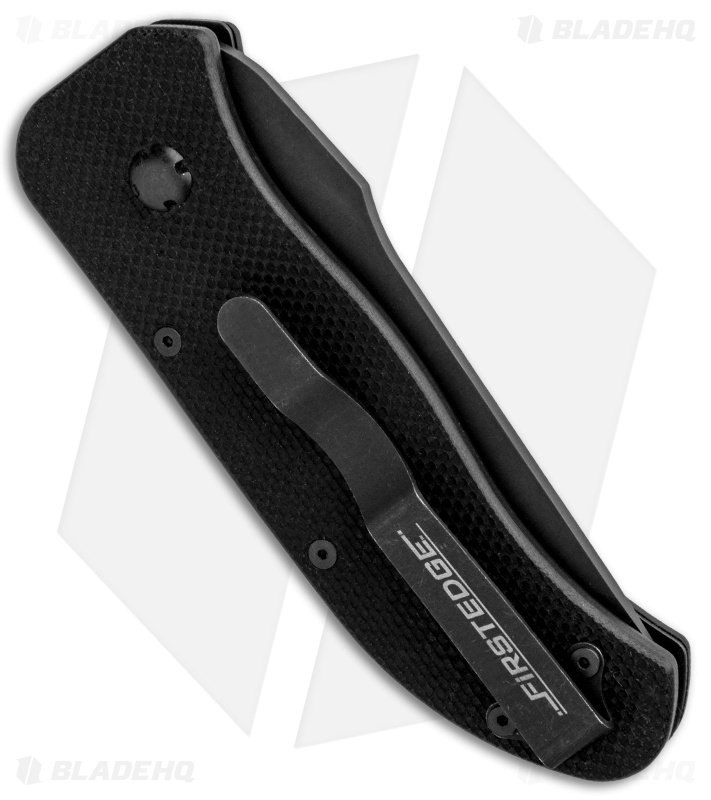 Rough textured G-10 handle scales offer a reliable grip in difficult conditions.